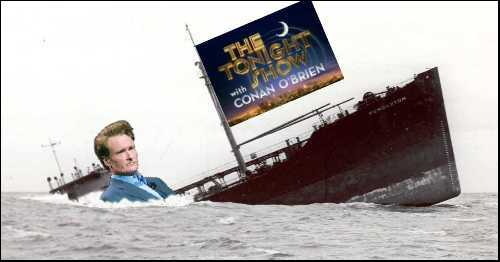 But everything changes for us and for Conan O’Brien on September 14th when The Jay Leno Show hits television at 10pm. 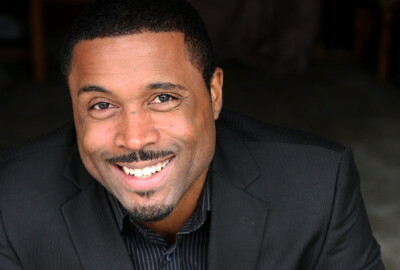 Now we can have our Jay Leno and we don’t have to stay up late to watch him. How many folks were like us and enjoyed Leno so much they stayed up late to watch him? According to Wikipedia (I know, I know! You can’t trust Wiki but here it is.) O’Brien is attracting two million fewer viewer per night than Leno’s average, so I guess we and a few other viewers were more loyal to Leno than to the show. Jay Leno’s new show will attract millions of his old fans and that could be bad for Conan O’Brien’s The Tonight Show as people discover that they don’t have to stay up half the night to enjoy television. 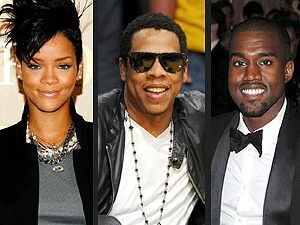 Rihanna, Jay-Z and Kanye West will sing on opening night of the first Jay Leno Show. For Rihanna this will be her first major appearance since that nasty incident of domestic violence by… what was that guy’s name again? We’d be watching Jay Leno anyways, but with Rihanna and her friends… that’s a treat! See you on September 14th.